Today the shoe is not just another accessory. It is a key piece and ends up being the continuation of a look. The feet can show personality traits and style. From 1986 serving us with quality, the BomTom Shoes Store you can find footwear for men and women of the best brands. If you like the classic style you can opt for ARA or by Hispanistas. 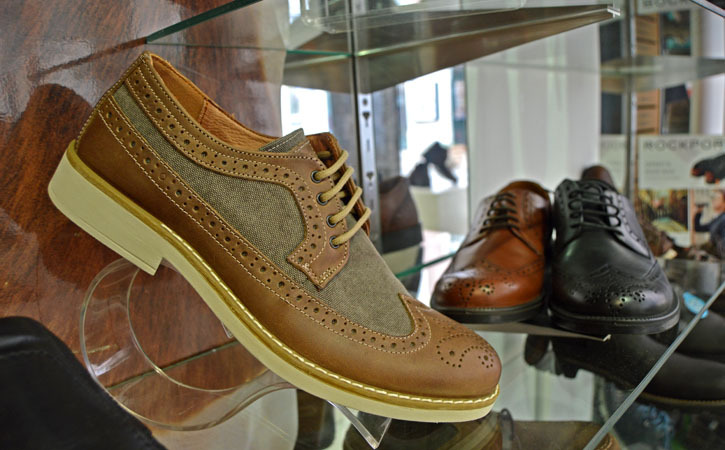 But if you prefer to cater for a more casual style then you’ll want a nice pair of shoes of the Hushpuppies, the Aerosoles or Innocent. Common to these and other available brands is definitely comfort, something BomTom can not do without. It also gives you the possibility of you find a soul mate for your foot, just ask and the store makes the application to fit your needs. And if you need to complete your costume you will also find fashion accessories like bags or scarves. The number 119 of the street Heróis da Grande Guerra in the center of the traditional trade of the city is waiting for you to show you the latest trends and accompany your next steps.